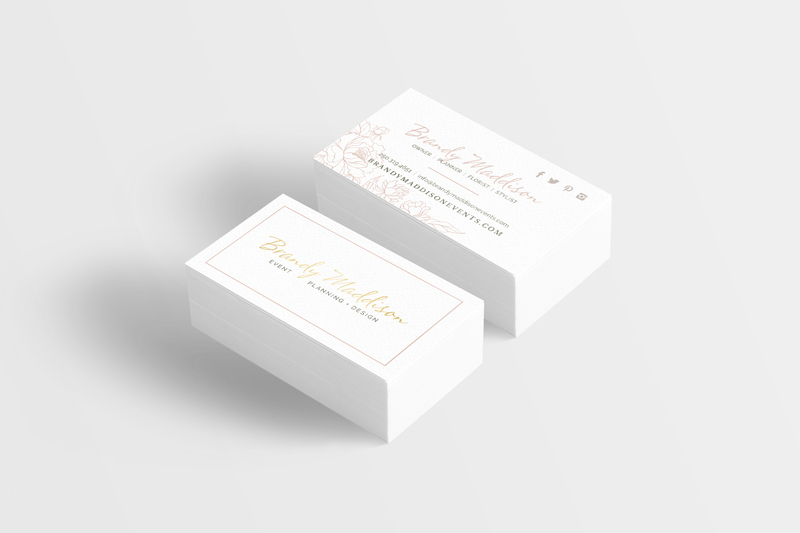 With a lot of heart and a dream to create something beautiful, Brandy Maddison Event Planning + Design launched in 2013. 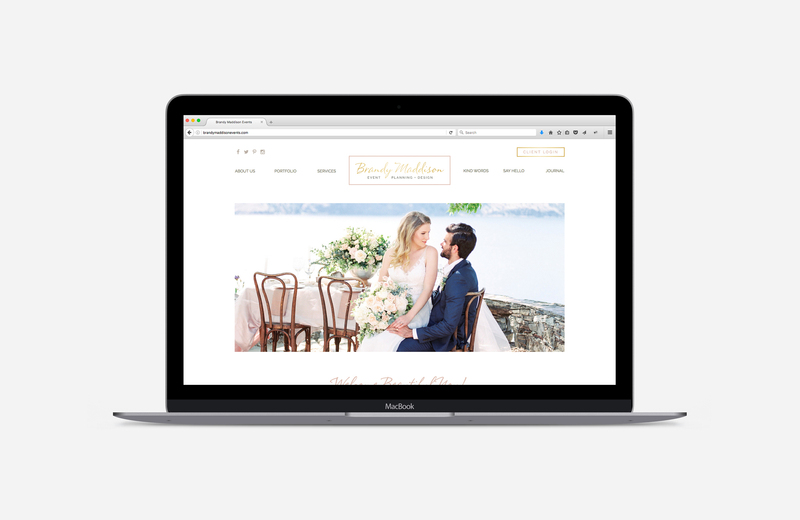 Brandy Maddison Events is a boutique event planning and design studio in Kamloops BC, specializing in weddings and floral artistry. The softness and eleganance Brandy creates with her designs inspired the feminie look and feel of the brand. The typography is a combination of a lively, sophiticated pen style handwritten script and modern san-serif, accented with a classic serifed font. 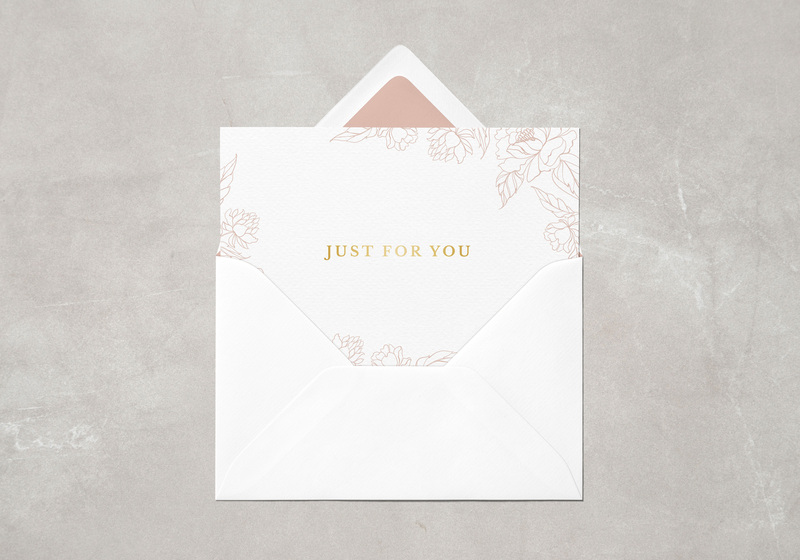 Gray earth tones contrast hints of gold in the colour palette and the soft blush pink is warm, welcoming, earthy, and in Brandy's words "oh so lovely". Floral artistry has become a huge component to any event Brandy styles and as a result floral details are featured, in the form of a penned outline illustration, throughout the brand materials as well as the icon in the badge style logo. 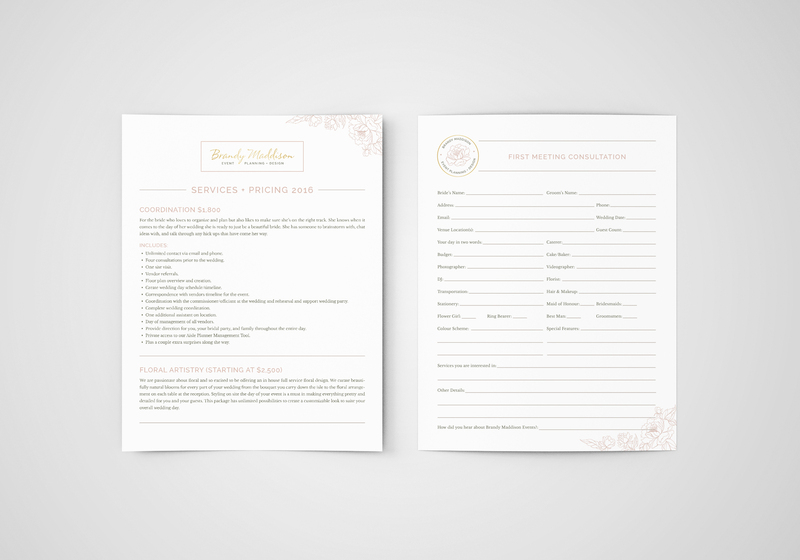 Work included: the logo and brand, business cards, forms and contracts, note cards, and website design (coding completed by Kevin Haag).